Home » OUTDOOR DECORATIONS » 18 Phenomenal Pergola Ideas That Top a Patio or Decorate Your Yard with Glory! Extremely stylish for an outdoor shelter without a traditional roof, pergolas are getting increasingly popular as one of the coolest additions to modern homes. 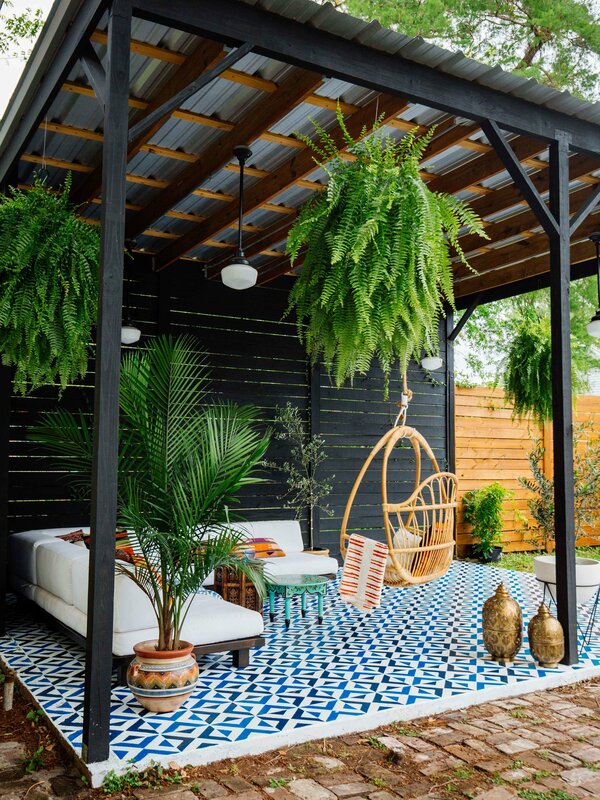 Topping a patio, the porch or just going for an extra decorative touch to your space, these structures are versatile enough to be made using wood, metal, or even glass for some elements. Check out these 10 Pergola Ideas that are absolute glory in every single bit. That marvellous pergola with a dark wood stain is amazing in itself, but the slide on wire hung canopy only makes it even more functional and of course, appealing to look at. The canopy system is worked up with a durable fabric and an efficient rope pulley system allows the user to slide the shades on the cables of the pergola, retracting them when you don’t need shade from the sun. It can’t get any more chic and rustic all at once than this stunning pergola that goes for a deep matte finish black stain for the frame and lovely brown for the pergola cables. To keep the furniture and seating underneath protected from the weather, this one has also been topped with a durable metal shingle roof. Pretty hanging lights and plants add the final touches of beauty to the same! Complementing a pergola with arcs is something you won’t find quite often. But this one integrates lovely arcs on each of the vertices of the pergola, covering the whole structure in an edgy splash of black. Prefer going for furniture that matches the black hue and the farmhouse touch of the structure above, complementing the color with light floor tiles. The cottage-like charm of this outdoor setting is spruced up with a clever integration of grey stones, bringing out a summer-perfect appeal t the structure. Oh yes, this one combines a pergola with front door porch space, adding stones for the paving, the steps as well as the bases for the pergola pillars. For the roof of the pergola, you have got a wooden white beauty extending out from the house. A perfect demonstration of the idea of rustic, this pergola is a huge and minimal one, having sleek pillars hold the wooden frame on top with true charm. The inclined pergola cables are assembled in a close-knit fashion, coupled up just right by the white stone floor and the rustic pieces of furniture with frames similar to that of the pergola. This grand patio with rustic wicker chairs is topped with an equally grand pergola that takes the cake with its unique stain job reflecting random dark stretches and spots of brown on a lighter base of the same shade. It has got a cross-cable top wherein the larger antique ones are topped with a sleeker frame of cables. Lighting will play a key role in highlighting this one! Here’s a gorgeous pergola frame that itself doubles up as a wonderful patio having a cubical structure that combines the floor with the pergola through the connecting pillars on the corner. To make the space comfy, the cables on top of the pergola have got a lovely cream-hued fabric woven through them, freely flowing on the sides. Check out this guide by Dekoloji to learn how the fabric and other materials can be customized. 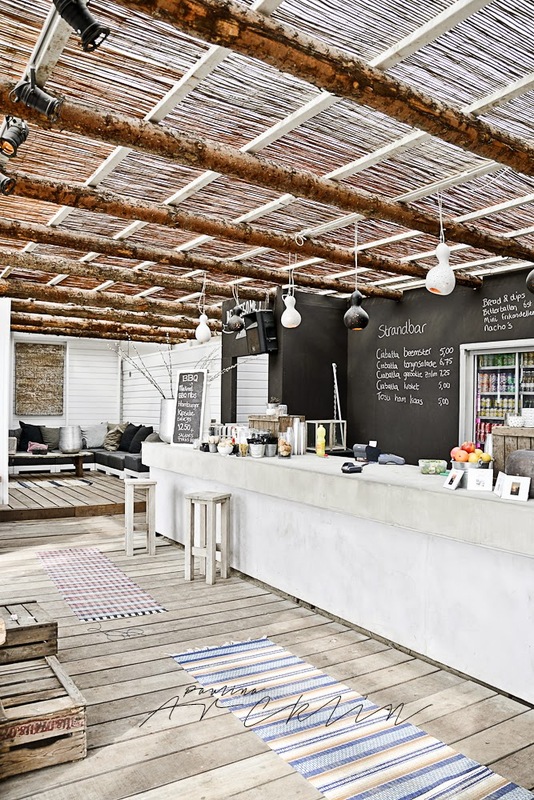 Bidding farewell to the regular idea of wooden cables or slats forming the top of the pergola, this inspiration shared by Decor Demon goes for tree timber for working up the roofing of this super cool beach cafe. The timber with its worn out texture is further adorned with a sheet of ropes and jute, while sleek white cables simply help make the frame stronger. The shelter offered by this incredible pergola is efficient enough to let you spend not only your evenings, but a whole night of comfy sleep – all with the help of that beautifully thatched roof that it’s adorned with. Coupled up with airy white tiebacks let down for privacy, the space would look oh so amazing with some LED lights wrapped around the pillars.